Don’t you just love baby cheese balls?!! They are all over Pinterest these days and so fun to make. 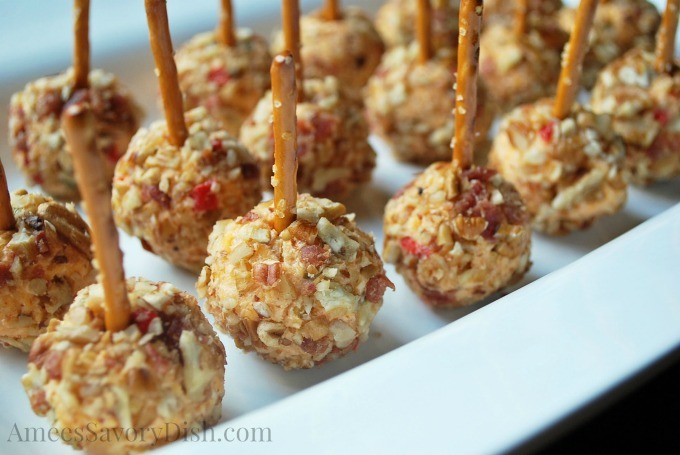 I used my recipe for Southern Style Pimento Cheese to make these delicious bite-size pimento cheese balls, perfect for your next social gathering. 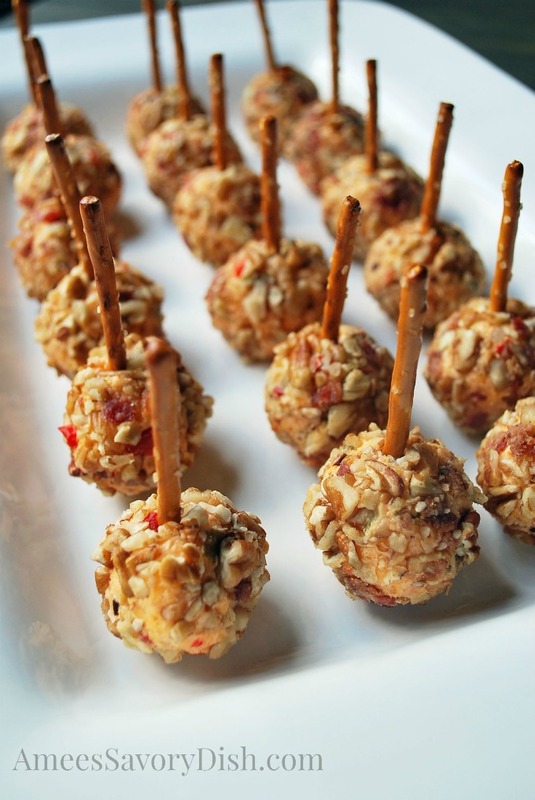 They are easy to whip up and prepare a day or two before your party, just wait until you are ready to serve them to roll them in the bacon and toasted nuts for best texture. These have a little heat and great flavor from the pickled jalapeños used in the pimento cheese. Enjoy! Just before serving place a pretzel stick inside each ball. Have I ever told you about my love of pimento cheese?! I’m sure I have. Well this just topped that. I must make these!!! !